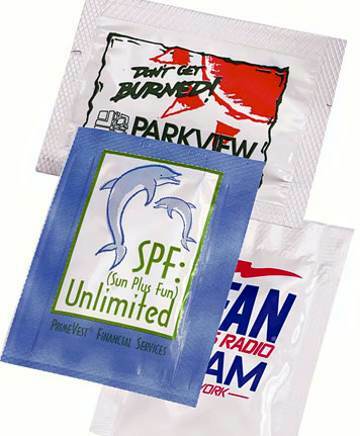 Bulk sunscreen -sunblock packets with SPF15, UVA and UVB protectors. This single use packet is great for the everyone who spends time outdoors! Great direct mail item. Free artwork design. We will send you a proof before production. Budget Prices in the USA and Canada for wholesale sunscreen packets. Check also our bulk SPF30 Sunblock Packets . Unit prices below include your one color, one location custom imprint. Add only $0.05 per sunscreen packet for each extra imprint color. 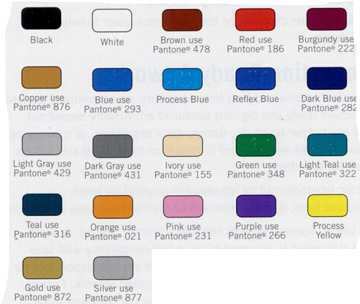 EXTRA COLOR, ADD: $0.05 $0.05 $0.05 $0.05 SETUP CHARGE: $50.00 per color.